- Cow and her calf, -Quaker corner, Rokemarsh- (BS0332) Grazing cow with calf in lane. 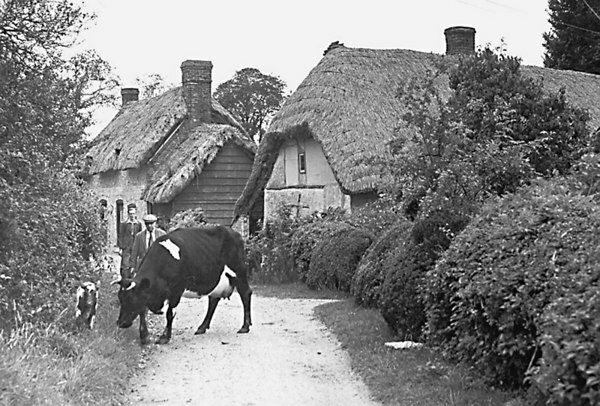 Journey's End (cottage on left) was originally two farm cottages belonging to Brook Farm, Benson. The farm was auctioned by Franklin and Gale in 1919. 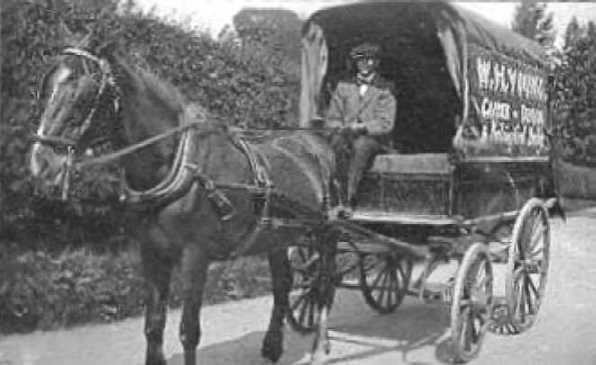 The cottages and much of the land between there and Hale Road and Watlington Road were bought by the County Council as a smallholding and the cottages were knocked into one. By the time the Webbs lived here, the land was let separately from the cottage which was sold in 1979. 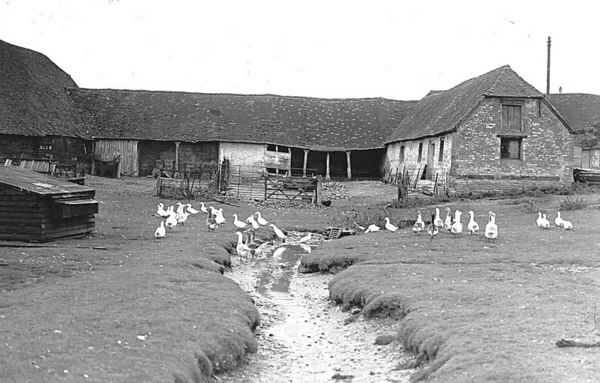 The land was sold in 1983 to Mr Belcher of Hale Farm. From Geoff Williams, Rokemarsh: “The cottage on the left of the picture is Journey’s End. The current owner (2003) is Mr Sherwin Smith. The one on the right was originally 3 cottages, then 2, the one nearest the lane becoming derelict. In the 1950s the Webbs lived in the rear cottage and their son in Journeys End. 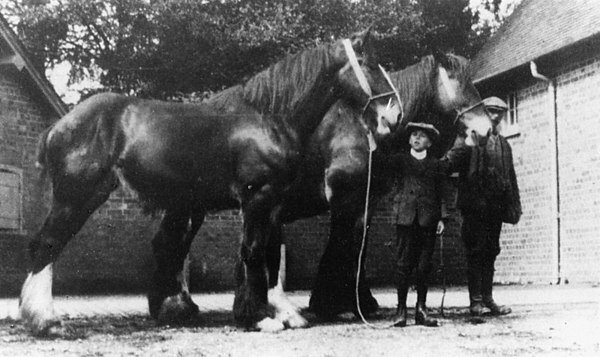 The right hand cottage was destroyed by fire in 1985, and is in 2003 the location of Meadow View"
- Shire Horses - (BS0333) Two shire horses taken in farmyard with a boy and man. - Farmyard with Geese - (BS0378) Geese in Crowmarsh Battle Farmyard beside the stream.